Where did you first hear the voice of William S. Burroughs? Weary yet vigorous, flat yet powerful, wry yet haunting, it has, to a good-sized segment of several generations now, defined a cadence for the counterculture. Many of those enthusiasts (most of whom would have come to know the grand old man of the Beat Generation's postmodernist wing through his writing, like the novels Naked Lunch and Junky) had their first genuine Burroughs listening experience through the record album Call Me Burroughs, first released in 1965, and more recently re-issued by Superior Viaduct. 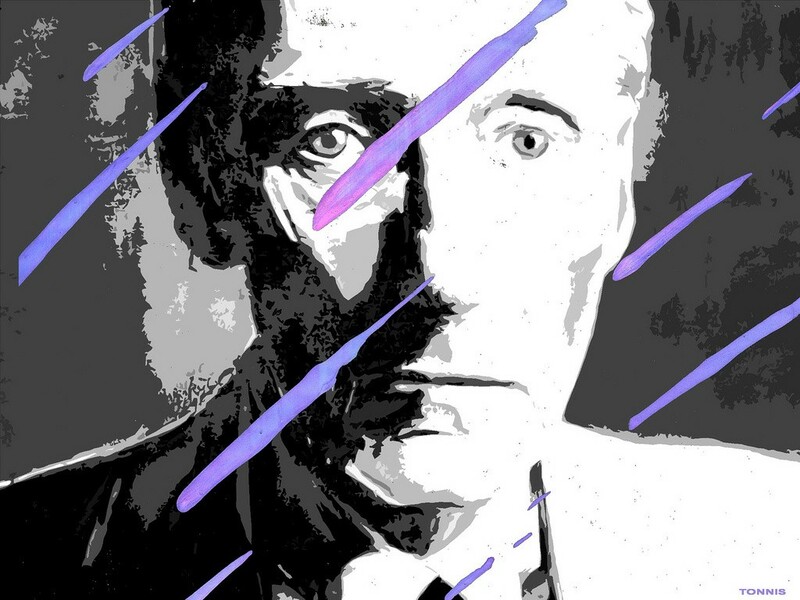 In these sessions, recorded in the basement of The English Bookshop in Paris, Burroughs reads from Naked Lunch as well as Nova Express, the third book in the "Nova Trilogy" that the author considered a "mathematical continuation" of his best-known work. Both emerged as the fruits of the "cut-up" technique of literary composition Burroughs developed with artist Brion Gysin, creating new texts out of decontextualized and reassembled pieces of existing text found in the mass media. "Burroughs believed that language and image were viral and that the mass-dissemination of information was part of an arch-conspiracy that restricted the full potential of the human mind," writes Glenn O'Brian at Electronic Beats. "With cut-up, Burroughs found a means of escape; an antidote to the sickness of 'control' messages that mutated their original content. If mass media already functioned as an enormous barrage of cut-up material, the cut-up method was a way for the artist to fight back using its same tactics." Call Me Burroughs, which at one point became a deep-out-of-print collector's item, has now come available free on Spotify. (You can download its free software here.) You can also stream it on Youtube. Counterculture chronicler Barry Miles notes that the Beatles all had copies (and Paul McCartney, particularly impressed with it, went on to hire its producer himself), and "art dealer Robert Fraser bought ten copies to give to friends such as Brian Jones and Mick Jagger. Marianne Faithful and Keith Richards' dealer had copies, as did numerous painters and writers." So whatever inspiration you draw from this "talisman of cool in Greenwich Village in the mid-1960s," as Greil Marcus once called it, you'll certainly join a long line of distinguished listeners. Call Me Burroughs will be added to our collection, 1,000 Free Audio Books: Download Great Books for Free.